Offering telemedicine shouldn’t mean changing the way your practice works. This is why Chiron has developed integrations with some of the leading EHRs, now including drchrono. drchrono is a trusted medical platform for physicians and patients around the world. Their award-winning platform addresses the needs of today’s healthcare ecosystem and includes EHR, practice management, medical API and revenue cycle management. As telemedicine becomes a more effective way to provide convenience to patients and boost practice efficiency, seamless integrations with each stage of a practice’s workflow are key. The Chiron Health – drchrono telemedicine integration allows you to provide convenient video visits to your patients with unified scheduling. This allows practices to schedule telemedicine visits directly in drchrono. Scheduling data and patient insurance information automatically syncs between the two systems, making it easy to offer and get reimbursed for telemedicine appointments. All of your in-office appointments are scheduled using drchrono’s practice management software – now video visits are scheduled there too. Simply schedule a ‘Telemedicine’ appointment using drchrono’s practice management software, and it will sync automatically with Chiron Health. Chiron Health simplifies the appointment process for your patients and staff. As soon as a video visit appointment is scheduled, patient insurance information is auto-synced. No additional work is necessary. Chiron Health handles the eligibility verification work for you. With the drchrono integration, your practice will have access to the Chiron Rules Engine®, an industry-first telemedicine insurance rules database. We check the eligibility of every patient to ensure you’ll be reimbursed for every telemedicine appointment. 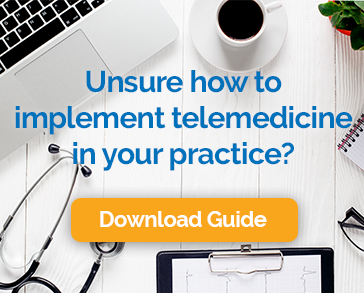 Adding telemedicine to your practice is that simple. Start offering HIPAA-compliant video visits to your patients today. To learn more about the Chiron + drchrono integration, simply schedule a demo with one of our telemedicine consultants here.